Redmi Note 7 and realme 3 are two new killer phones that changed the meaning of an affordable phone. 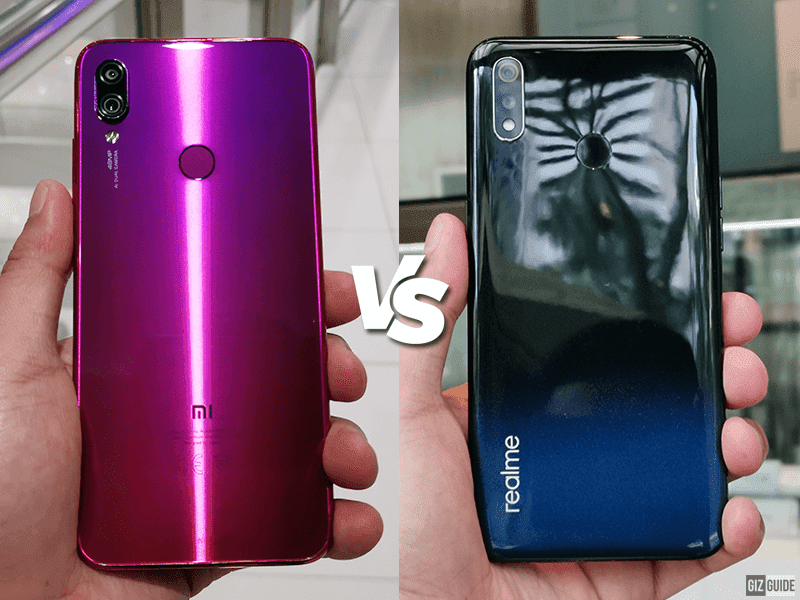 Team Redmi or team realme? Both are packed with modern designs, powerful specs, big batteries, and cameras that are not commonly found at this price point. But which comes with the better specs at this price point? Read on! Bang for the buck supremacy battle! 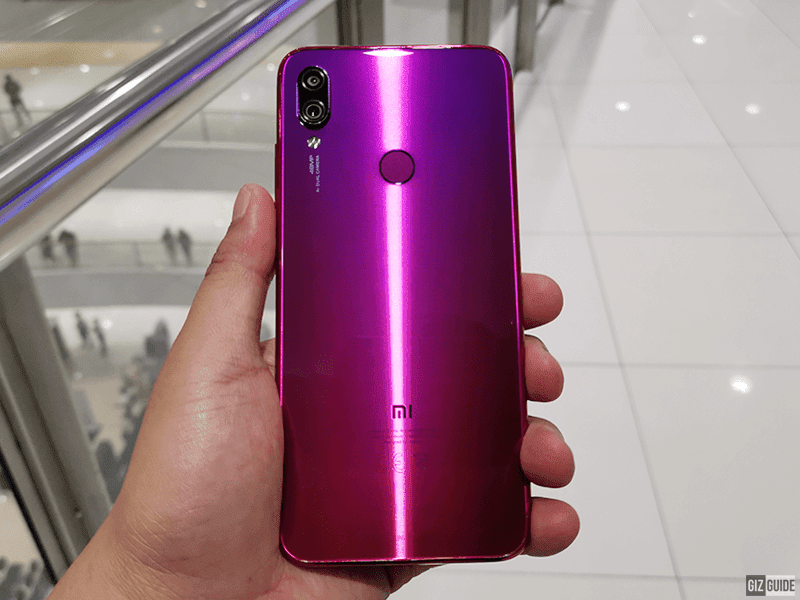 Redmi Note 7 has a 2.5D Gorilla Glass 5 protected glass black and front with plastic frame. The realme 3 is made out of a polycarbonate material with 3D-like curved back. It also has a glossy finish that give an illusion of a glass panel. It also goes with a Gorilla Glass 3 protected front. In the build quality, although the realme 3's build is no slouch the Redmi Note 7 used more premium materials. Both phones comes with gradient design at the back. Redmi Note 7 also has a version with more traditional solid black color. In the looks department, the darker look of realme 3 is a direct contrast of the Redmi Note 7 vibrancy. Display - The Redmi Note 7 has a 6.3-inch IPS screen with Gorilla Glass 5 protection. It also has a sharper FHD+ resolution of 2340 x 1080 at 409 ppi. On the other hand, realme 3 has a 6.2-inch screen with a 1520 x 720 HD+ resolution. It may not be FHD+ but it is still respectable given the price point. Colors are accurate with great pop. Blacks are not that deep but it is more than usable in media consumption. Both phones has dewdrop-style notch which is a welcome design choice. They also have slim side bezels. The chin is a bit thick on both phones, but forgivable for the price. The max brightness level of both devices are comparable. Specs - This part is a very close one! Realme 3 has a 2.0GHz Helio P60 octa-core processor with dual core AI, Mali-G72 MP3, up to 4GB of RAM with up to 64GB of expandable storage and a 4,230mAh battery with 10W fast charging. Redmi Note 7 has a 2.2GHz Snapdragon 660 AIE octa-core processor, Adreno 512 GPU, up to 4GB of RAM with up to 128GB of expandable storage, and 4,000mAh battery with up to 18W fast charging tech. Ok, this is practically a deadlock. The Helio P60 processor can go toe to toe with the Snapdragon 660 AIE processor. It is even a bit ahead in terms of AI. The Adreno 512 GPU takes a slight lead over the Mali-G72 MP3. The Note 7 can be maxed out at 128GB, but the realme 3 has the slightly bigger battery. Both also comes with speedy 4G LTE connectivity. Cameras - The Redmi Note 7 champions a 48MP f/1.8 Samsung ISOCELL Bright GM1 sensor paired with a 5MP f/2.4 depth sensor. It also has PDAF, EIS and LED flash. For selfies, it has a 13MP f/2.0 sensor with AI portrait. Realme 3 has a 13MP f/1.8 main sensor paired with a 2MP f/2.4 secondary depth sensor with PDAF and LED flash. It also has a 13MP f/2.0 with AI face beauty. Redmi Note 7 highlights the pixel binning tech that combines 4 pixels into 1 crisp 12MP output. Realme on the other hand comes with the Chroma Boost and Nightscape modes. Based on our initial tests, it could go either way for the main cameras. Bigger main camera pixels doesn't automatically mean better. To check the images that we too, click this link. For selfies, both are equipped with AI-assisted 13MP f/2.0 shooters. Other features - Both devices are packed with more than what you would expect at this price point. The Redmi Note 7 pushes it a bit more with extra features such as an IR Blaster, USB Type-C, and an AK 98937 Smart PA. Both arrived with game-changing specs for the price. 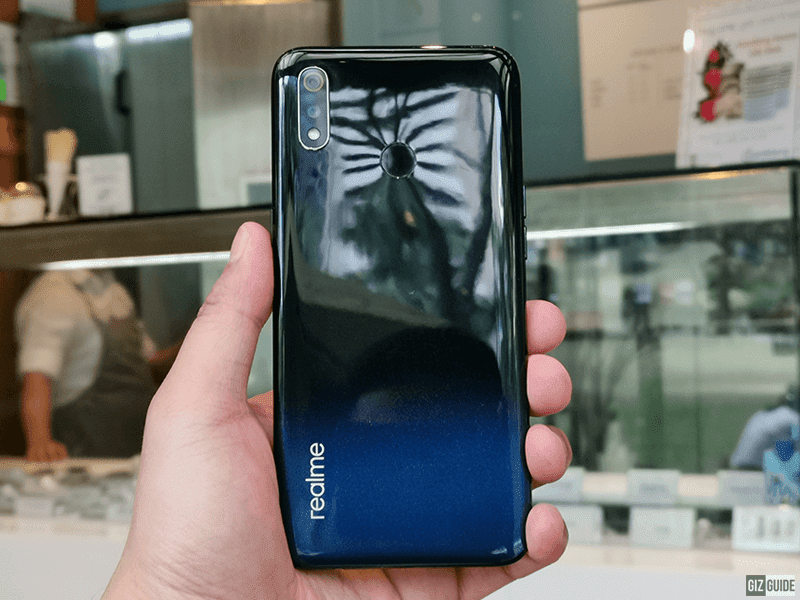 Redmi Note 7 and realme 3 brought mid-range specs and features into the a more affordable price segment with almost no compromise in design and build quality. On paper, Redmi Note 7 is a bit ahead as it comes with more features. 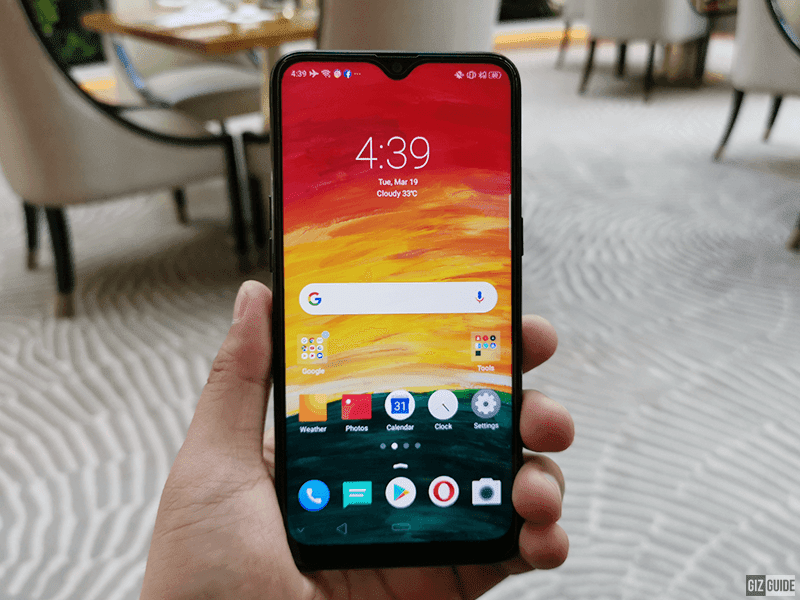 However, the Realme 3 has a more affordable starting price tag. It will be even priced at just PHP 6,290 later (March 25 midnight) at Shopee. On the other hand, Redmi Note 7 will go on sale on March 27 at Lazada. 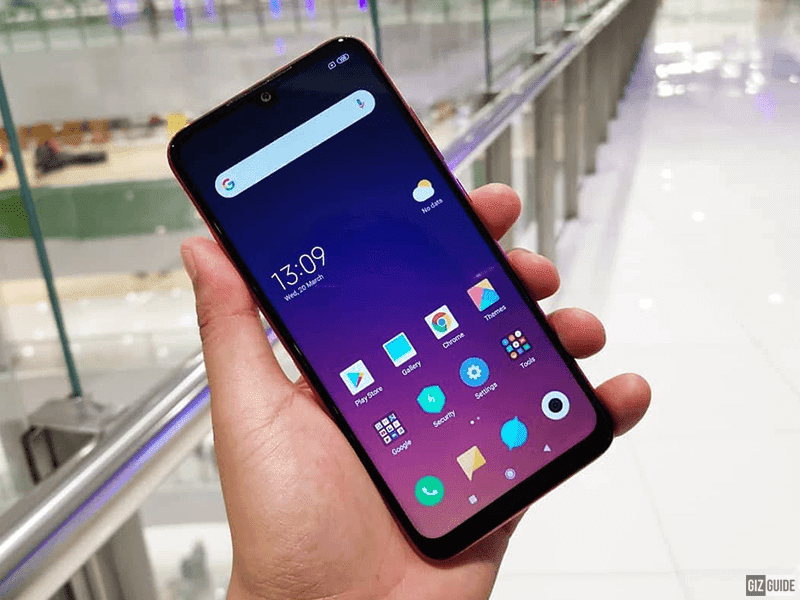 For us, either of the Redmi Note 7 or realme 3 is a win-win for consumers since both have capable specs given that they are falling under the budget smartphone line.